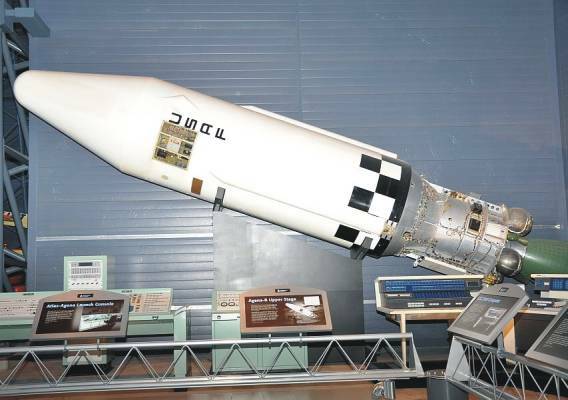 In 1955, the U.S. Air Force began its Weapons System program for the development of a strategic satellite system. 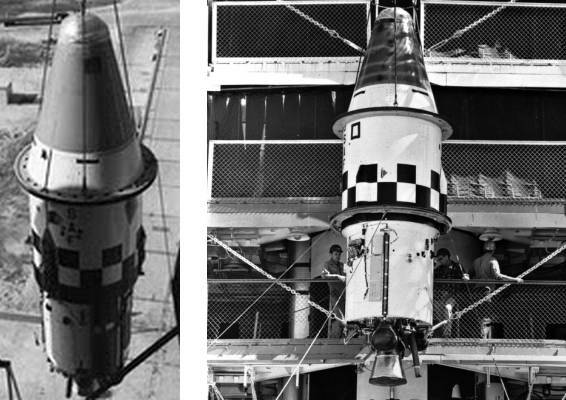 The initial primary goal was the development an orbital photo-reconnaissance platform, and in October 1956, Lockheed became prime contractor for the system. 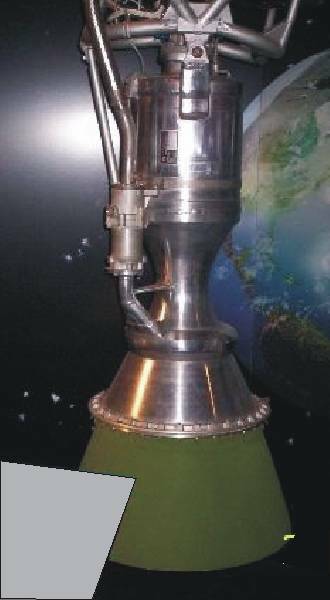 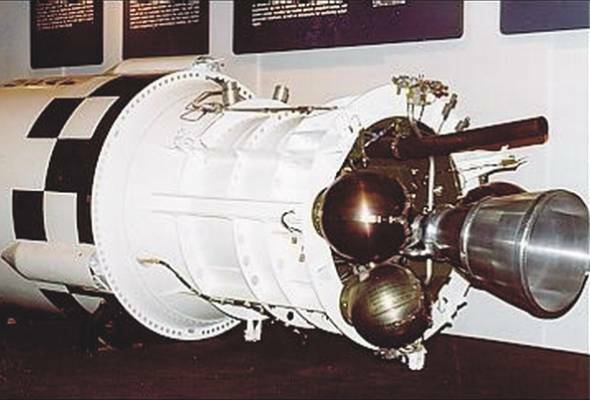 The core element was a new multipurpose spacecraft with boost and manoeuvering engines, which would act as the second stage of the launch vehicle as well as the carrier vehicle for the reconnaissance system. 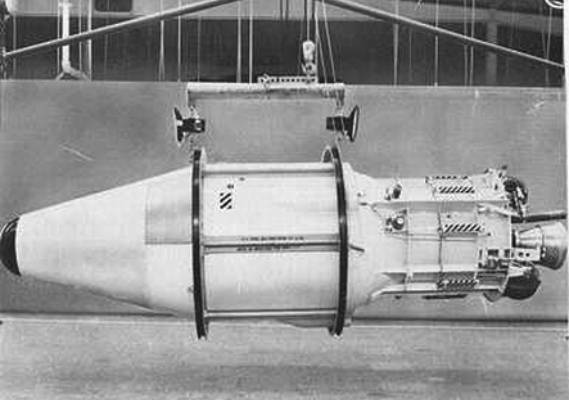 Lockheed's Agena spacecraft was built around the Bell XLR-81 liquid-propellant rocket engine, and was initially known informally as Hustler, because the XLR-81 was originally developed for a rocket-powered weapons pod for the B-58 Hustler bomber. 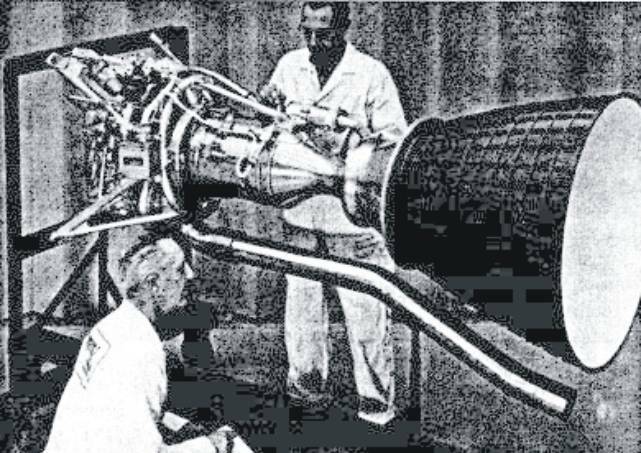 The first launch of a Thor-Agena combination in January 1959 was a failure, but on 28 February that year, Agena scored its first success when a Thor-Agena launcher placed the Discoverer 1 satellite into polar orbit. 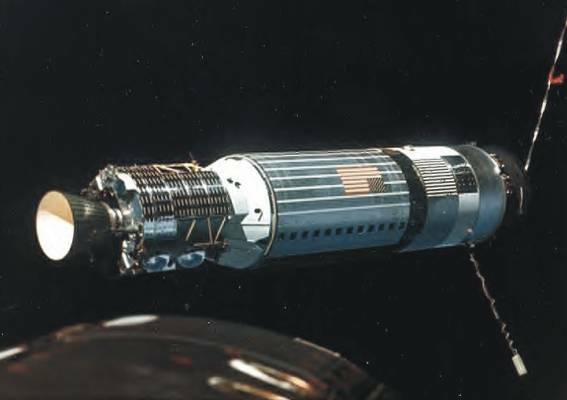 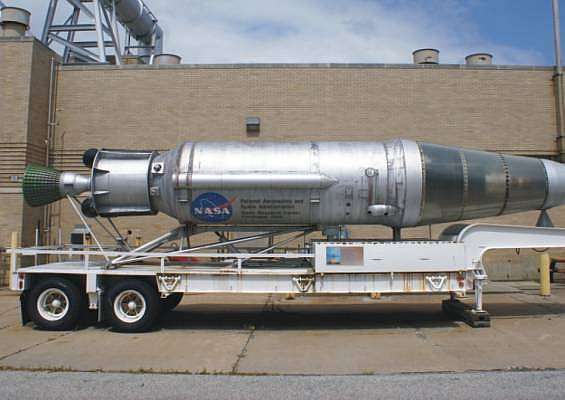 The Agena space vehicle was used in large numbers during the 1960s and 1980s as upper stage with Thor, Atlas and Titan-3 boosters to launch a variety of military and civilian payloads into orbit. The Agena itself was actually the first general-purpose satellite, and formed the core for many operational satellites and experimental space vehicles. 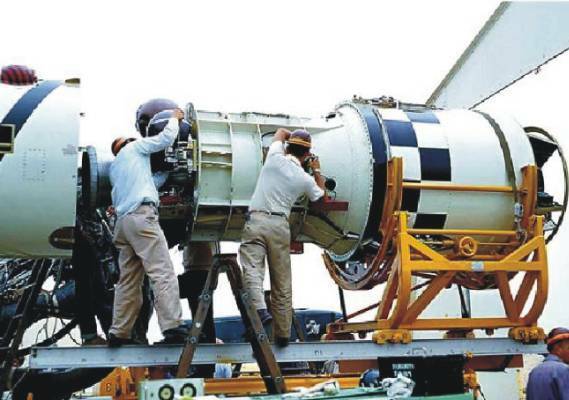 It is included in this missile directory, because the U.S. Air Force allocated the formal missile designator RM-81 to the Agena. 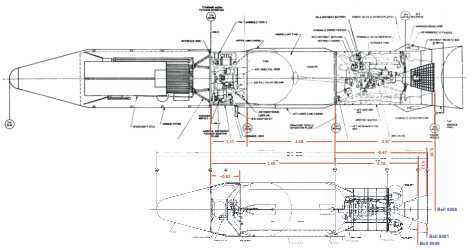 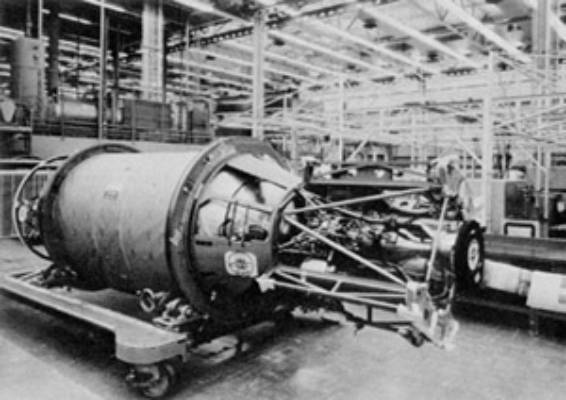 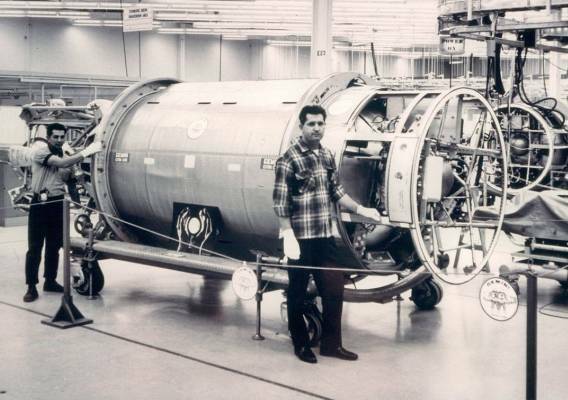 The first few Agenas, including the vehicle used in the Discoverer-1 launch, used a Bell XLR-81-BA-3 rocket engine, but most vehicles of the initial Agena A series used an XLR-81-BA-5 (Bell Model 8048). 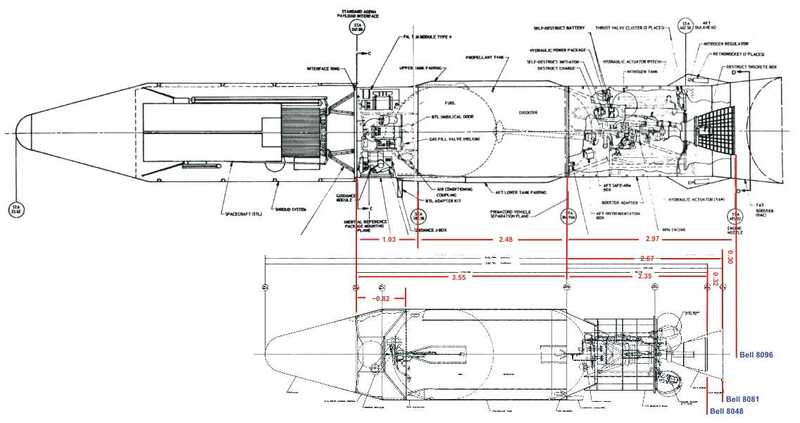 The engine had gimballed nozzles for pitch and yaw control. The engine was notable for its unusual aluminum construction. 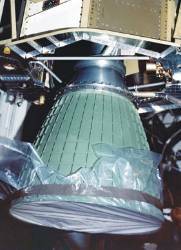 The regeneratively-cooled channels that cooled the throat and nozzle were formed from straight gun drill formed channels. 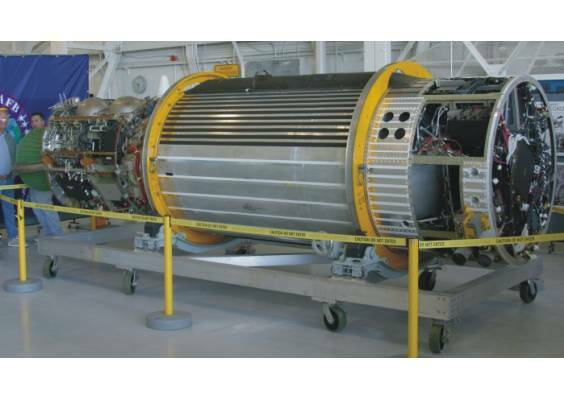 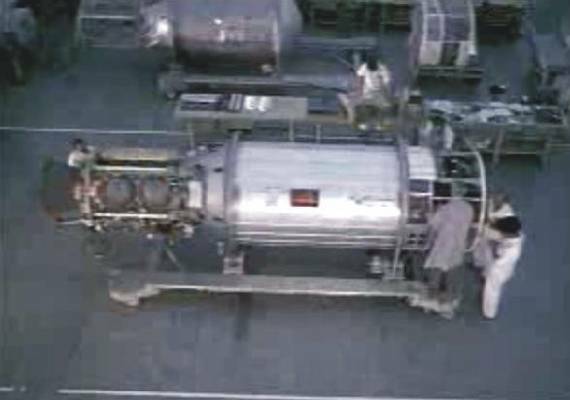 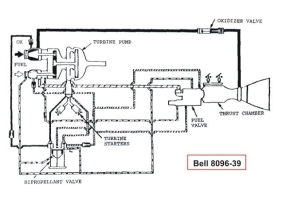 The Agena B had an improved XLR-81-BA engine , which could be restarted in space, and was stretched to carry much more propellant, doubling the total burn time to 240 s. The engine Bell 8081 has a modified combustor with a flanged and extended nozzle. 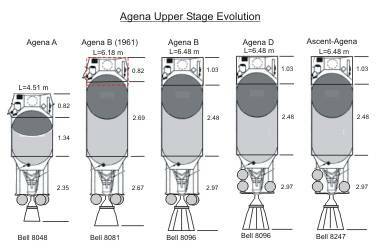 The Agena D variant was essentially a "standardized" Agena B, which could accept a variety of payloads. 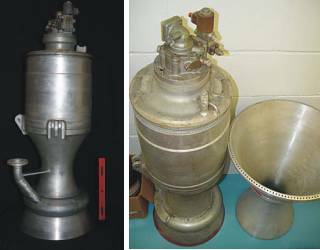 Both used the new engine Bell 8096 with a 30 cm extended nozzle and surface structure. 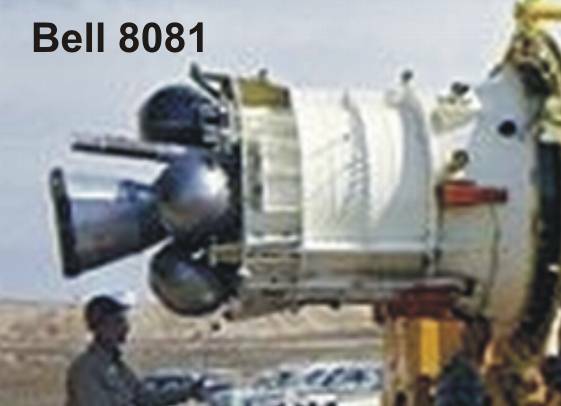 Later, the Agena-D was filled with the new fuel combination HDA/UDMH, what has improves the performance of the engine Bell 8096-39. 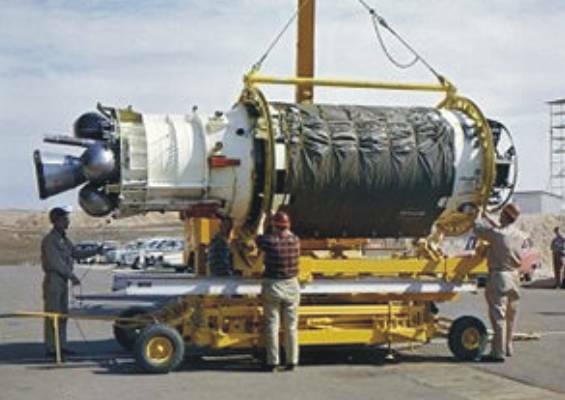 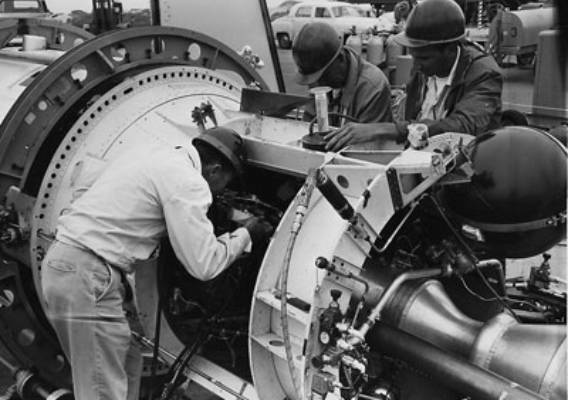 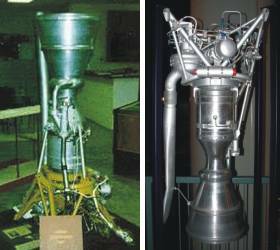 A modified Bell 8096 engine used first time for NASA’s Project Gemini. 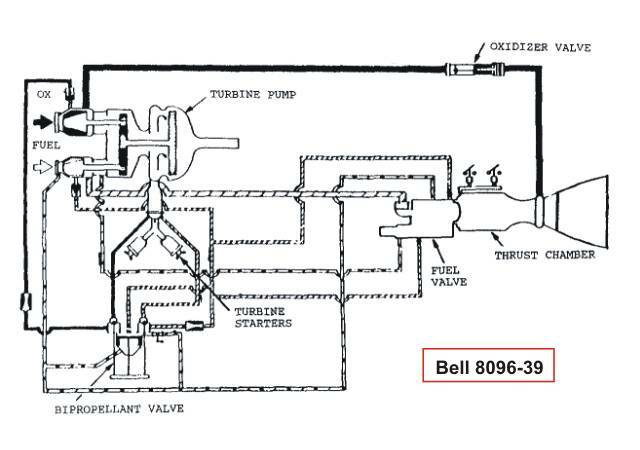 This Bell 8247 engine had a modified starting system, propellant valves and different electrical controls. 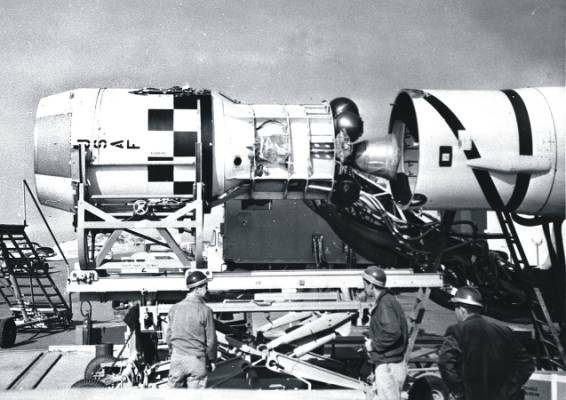 The changes gave it repeated multiple restarts. 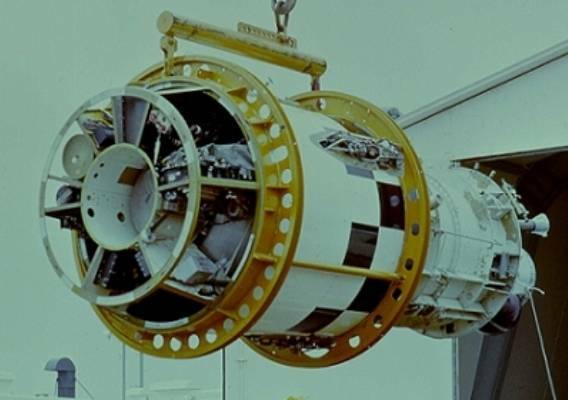 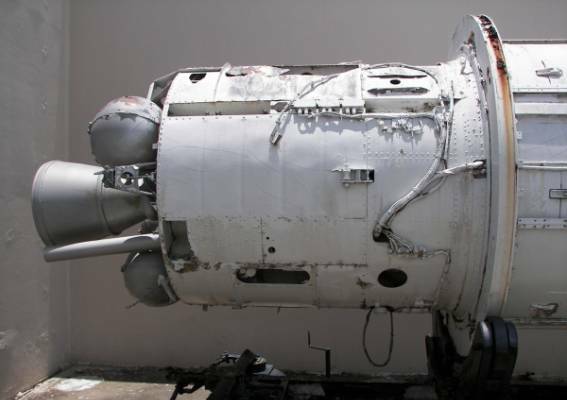 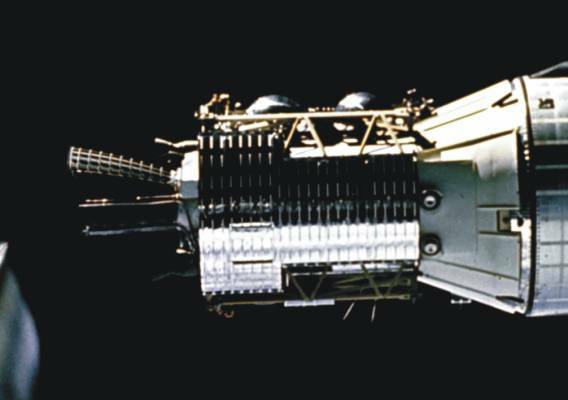 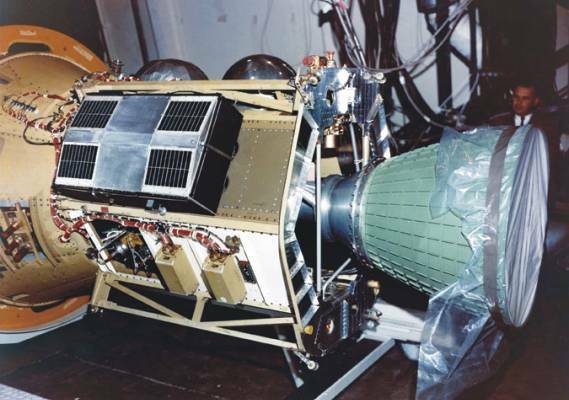 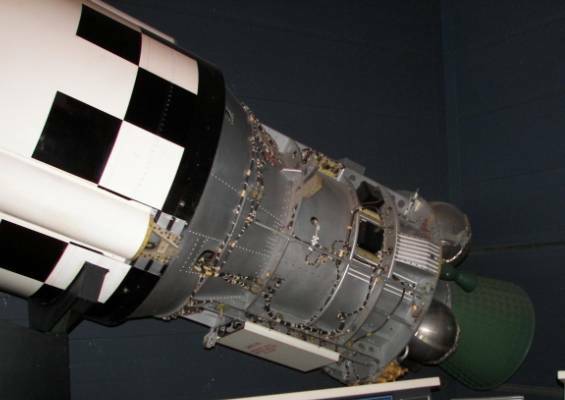 With a high probability the engine Bell 8247 later was used for the "Ascent Agena", which was used from 1971 to 1987 for the launch of geostationary satellites Jumpseat and SDS with the Titan-3B and -2BS (mod).